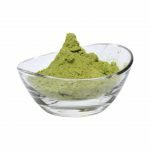 We want to stress that the success of Kratom Alliance is about you the customer; so we will guarantee that you are a completely satisfied customer. 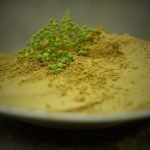 Our promise to you is to deliver the freshest best quality organic Kratom. 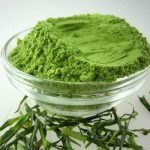 If your not satisfied with our kratom we will make it right guaranteed returns. Lastly we promise to give you the lowest priced Matragyna Speciosa along with speedy delivery. Let us know how we are doing, we appreciate your comments. 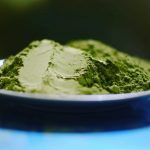 We strive to make Kratom Alliance the best supplier we can be. The FDA has not approved this product for human consumption. First of all I would just like to say that I think what you’re doing is fantastic, and keep up the good work! I have ordered from you on multiple occasions over the last few months and have been extremely satisfied with your products. 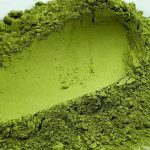 I have made purchases from several other Kratom vendors over the last 2 years and have to say that your product is by far the freshest, and the most affordably priced Kratom that I have ever seen. I am planning on making another purchase on Monday and was wondering exactly how I can go about doing that with your site unable to process credit card payments, and would also like to know how your new Papua Green Maeng da compares to your red veined variety. any help that you can provide would be greatly appreciated. I’m Happy to say that our website is back to normal. Our credit card processing is fully functional. We have to play catchup for all the time we lost so please check us out if you haven’t been here in a while. Papua Update: Our Green Maengda Papua has been getting rave reviews it is amazingly fresh and potent beyond our expectations. We now have added White Maengda Papua and all I can say is strong very strong and clean so if you are a white vein fan you will love this. Thank you to all our loyal fans for sticking with us during these difficult times but were back with more enthusiasm than ever. The credit card processing is behind us and we love the company we are with. So stay tuned for new products and sales. Hello. Just ordered your free sample, thank you for such a generous offer, and it even arrived sooner than a package ordered from my usual supplier, ordered on the same day, with 2 day shipping?! You are most generous, and it’s on the stove right now. I have no doubts it will be of quality, and that you will be hearing from me again. Hey, just wanted to say thank you for the generous sample and also comment on your product. First off, the order arrived in two days (From NY to Calif!) Very quick! I think it says something to send a 3 oz sample- It clearly shows you stand behind your product and will let it speak for itself. Also, I’ve used many other vendors- In the cases where they do send samples, “most” of them will send a 5 grams or so…and then they will add whatever stock they couldnt sell. (so you wind up getting old/cheap strains) In your case, I got 3 bags of Maeng Da! And this is real Maeng Da! Premium quality and the freshest I have tried. 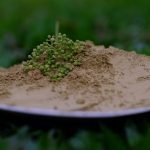 For those who are new to Kratom, just know that so much of the Kratom here in the US is old. 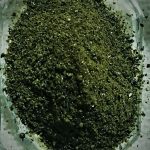 Some of it is up to 2 years old (especially your head shops) Not the sample I got from Kratom Alliance- You will be able to tell right away that this is fresh. . Each type of Maeng Da was excellent (Red- aroma Green- White Pupua- WOW! Strongest aroma around!!!) and I love all 3 of them and have already placed an order. On top of that, you have the best prices around! I was not sure what to expect but I am thoroughly impressed! Who needs fancy websites or packages- You just provide the best quality at the best prices and just got yourself a loyal customer for good! Amazing- And to anyone reading this, I am not affiliated in anyway with the site, just a customer who has tried a LOT of the vendors out there. 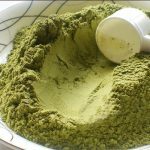 I really dont write reviews much- just when something really impresses me or I got ripped off- Kratom Alliance’s Kratom is AAA top quality at a more than fair price! Try it for yourself- Here’s someone who will send you a real sample and let it speak for itself! Cant wait for my next order Thanks! I received your samples, and the quality was so fresh! Some of the best kratom I’ve tried. So I placed an order with you guys, and anticipate coming home to a full mailbox. 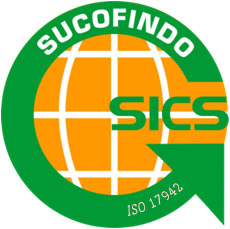 Thank you for great service and product quality. Means a great deal. I ordered the pick 3 option on 4/4/15 , went with the green , red , and white MD . shipping was discreet and quick . New York to So California in 3 days . The quality was top shelf and super fresh . And they put in 3 generous samples RVB , GM , and the gold . Can’t express into words the quality of all the products I received . And have yet to see prices like this anywhere . If your unsure ? Don’t be you will not be disappointed ! Yes, but can’t have that be an option on our website because I cant get the post office or the USPS to work on Sunday lol. They are closed on Sunday and I agree with you many customers would love that option. Super fast shipping, awesome product! 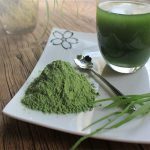 The only Kratom place on the net! Great product and now have overnight option. I am a loyal customer now. 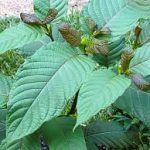 Thank you Rebecca, we strive to give you the best kratom for the money and are always hear to help you through your journey with this miracle plant. Its just not a business for us its so much more because its about quality of life and great customer service helps. Lol That was a little pat on the back for us. Oh, for customers not familiar with us we guarantee our Kratom and stand behind our product. 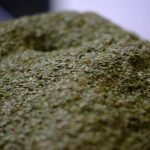 We make sure with every batch is tested for pesticides, heavy metals, molds and of course alkaloid content. 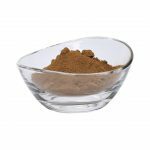 A clean room environment so you don’t have to worry about bugs and any other foreign objects in your kratom. It costs more to do this but its so worth it. Sorry I get carried away once i get going. Wish we could come get a message from you, well maybe someday if were in the neighborhood. Wishing everyone a Happy Holiday surrounded by peace and love. Goodwill to all ! Your Products look Great and I get a good vibe from your website. Looking forward to receiving my first shipment.